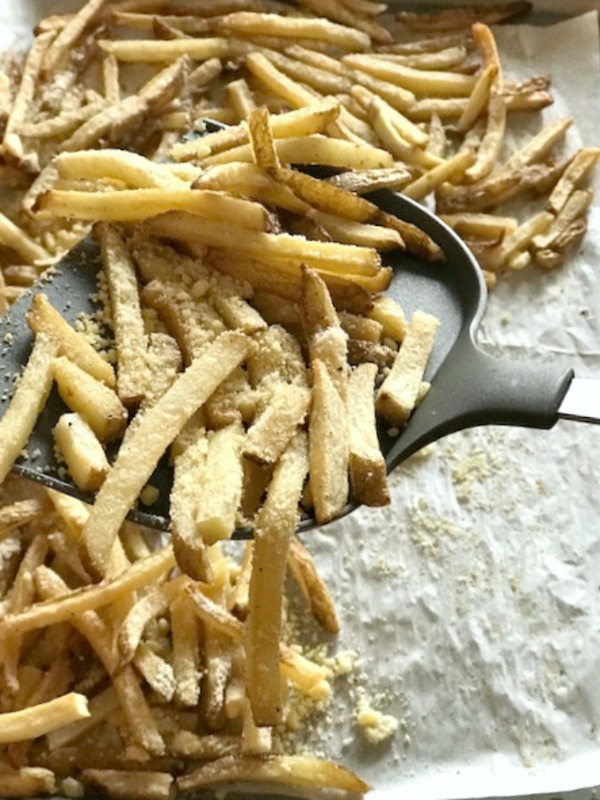 Baked Parmesan French Fries – These Fries are crispy deliciousness. Using frozen potatoes makes for a really easy and simple recipe that everyone will adore. Enjoy! It’s nice when you find a recipe that not only tastes delicious but is really easy to prepare. These oven baked fries are just that. I bought a bag of frozen shoestring fries and wanted to do something different with them. 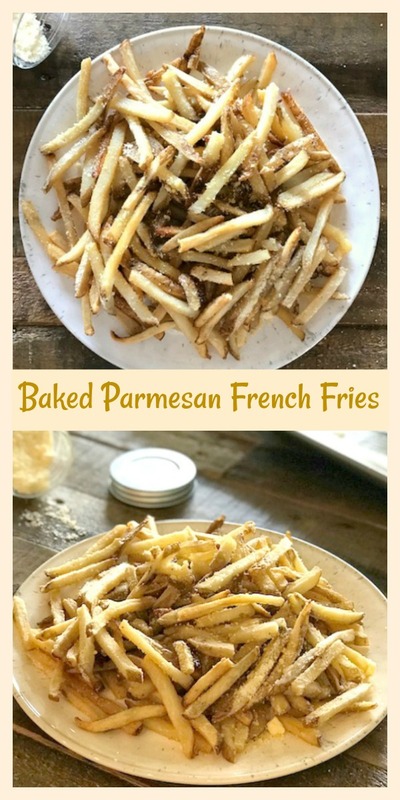 I had just purchased a big tub of grated Parmesan cheese and thought these would be so good baked on the fries. Oh yea! The fries came out crispy and so good. My whole family loved them. This is now going to become a regular way of making a bag of frozen French fries that’ for sure. Great as an appetizer as well as a side dish. Try it out in your home. Betting everyone will love them too. Preheat oven to 425 degrees. Cover a baking sheet(s) with parchment paper or foil. Spray with cooking spray and set aside. In a large mixing bowl, toss the frozen fries along with garlic, 2 tbsp cheese and pepper. Lay out potatoes in a single layer on sheet pan(s). Make sure they are not overlapping. 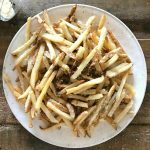 This is important for crispy fries. Bake for about 15 to 20 minutes. Take one out and taste. They should be slightly crispy. 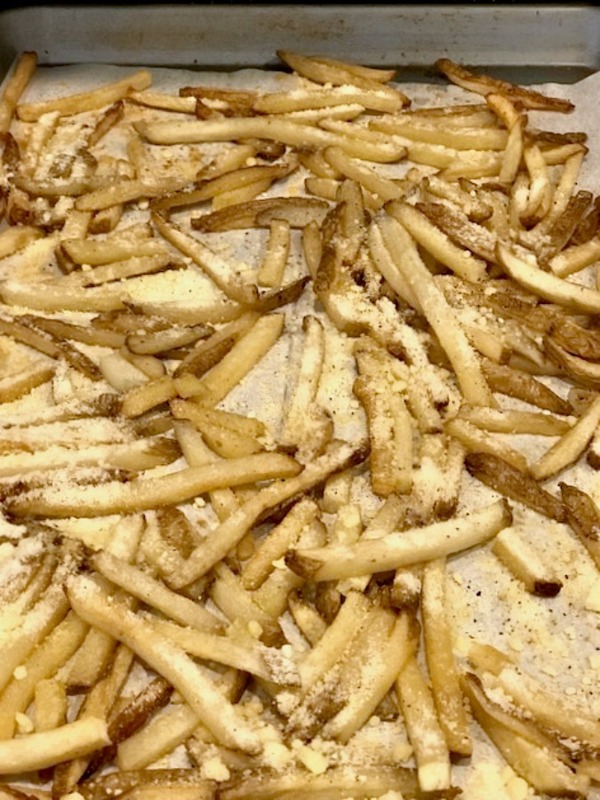 Sprinkle the 1/4 cup of grated parm over the fries. Put back in the oven for another 5 to 10 minutes. Check after 5 minutes. Try not to over bake them. They should be crisp on the outside and soft on the inside. Serve up! These Fries are crispy deliciousness. Using frozen potatoes makes for a really easy and simple recipe that everyone will adore. Enjoy! 1.Preheat oven to 425 degrees. Cover a baking sheet(s) with parchment paper or foil. Spray with cooking spray and set aside. 2.In a large mixing bowl, toss the frozen fries along with garlic, 2 tbsp cheese and pepper. 3.Lay out potatoes in a single layer on sheet pan(s). Make sure they are not overlapping. 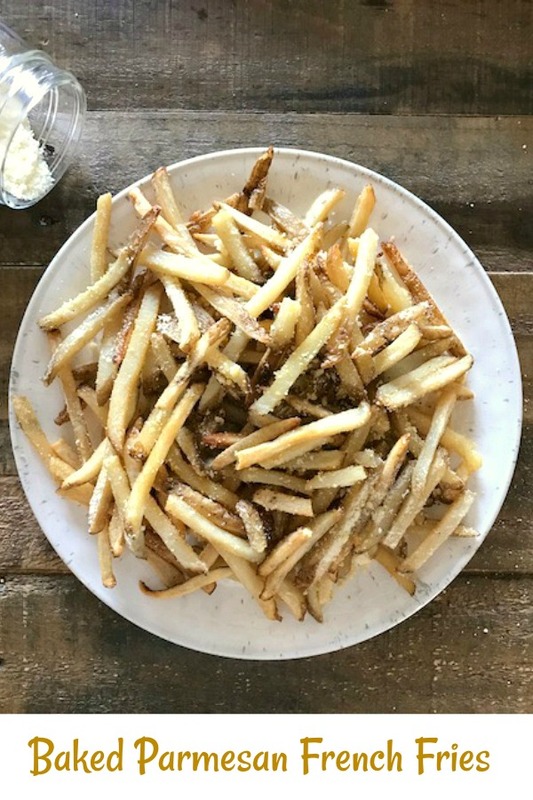 This is important for crispy fries. 4.Bake for about 15 to 20 minutes. Take one out and taste. They should be slightly crispy. Sprinkle the 1/4 cup of grated parm over the fries. Put back in the oven for another 5 to 10 minutes. 5.Check after 5 minutes. Try not to over bake them. They should be crisp on the outside and soft on the inside. Serve up! Enjoy!